Read more about our new method to alleviate various complaints without drugs and without side effects. Laser light is light with special properties. This laser light can be visible or invisible light and is very energetic due to its physical properties. Due to the high energy content and the special properties of the laser light you can achieve very good therapeutic effects in certain diseases. We offer this new method to alleviate various complaints without medication and without side effects. 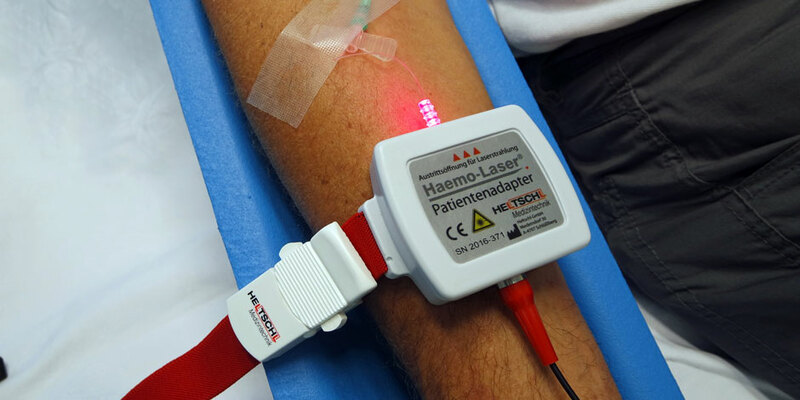 It is a low-level laser therapy which represents a regulation therapy. That is, the “out of balance” body should be returned to the state of equilibrium. With the help of the laser, various processes in the body are activated, which alleviate pain, promote blood flow, anti-inflammatory, decongestant and healing wounds. 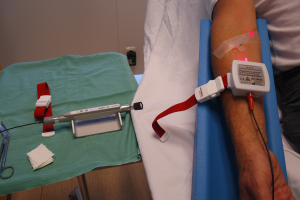 With the help of a special disposable light guide, which is passed directly into a vein on the elbow, the blood flowing past is irradiated with the laser light. This leads to an improvement of the metabolism, an increase of the blood circulation and an improved oxygen supply. Read more on the homepage of the manufacturer. With which complaints or illnesses does it help?